It is the time of the year again when I will go on a cookie baking frenzy! I kicked start my Chinese New Year cookie baking marathon with a batch of green tea snowballs. Upon my cyberfriend, VB's recommendation (see her lovely creation here), I first attempted to make these snowball cookies following the recipe from Daily Delicious, one of my favourite food bloggers. I have actually planned to bake them for my friends, luckily it was a test batch! So, back to the drawing board again...I struggled between going back to the same recipe and the one from My Buttery Fingers. In the end, I decided to try out Wendy's recipe as I don't want to have any left over egg yolk again. With the experience from the first batch of snowballs, I was diligent enough to keep a close guard while the cookies were baking...no more over browning, yeah! 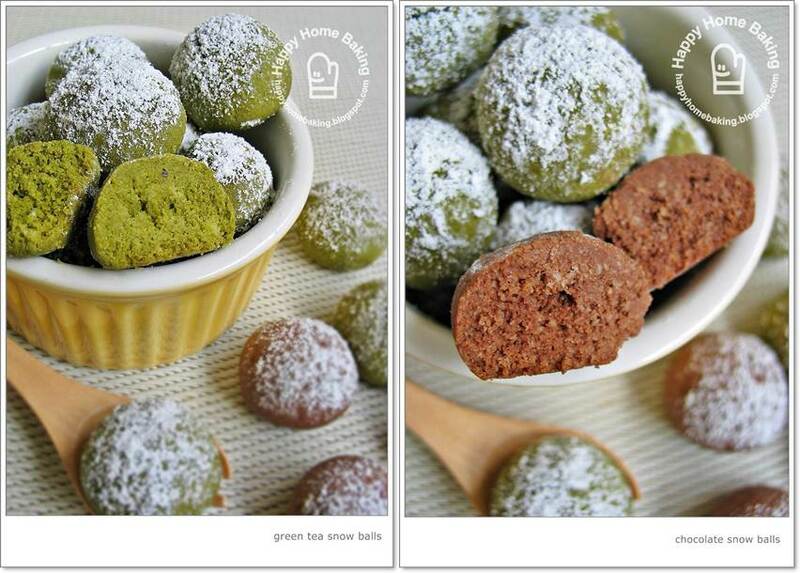 Taste wise, both cookies are almost similar, but since more green tea powder is used in Wendy's recipe, the green tea fragrant is more prominent. The fragrance from the almond powder is another bonus! The chocolate version tastes good too, the extra icing sugar makes them less bitter since I used unsweetened cocoa powder. As for the texture, both doesn't melt in the mouth...rather they are in between crunchy and melt in the mouth. The cookies made with Wendy's recipe are softer, probably because there is no egg white used. If you were to ask me, both are good recipes, but I would stick to Wendy's recipe simply because it calls for less ingredients. Besides the snowballs cookies, I have also made marbled Melt-in-the mouth German Cookies for my friends...whom I've known for the past 15~19 years. Toast almond powder at 100 degC for 10 mins. Stirring in between. Let cool completely before using. Place butter, salt in a mixing bowl. Sift over the icing sugar (do not skip this step, this is to remove any lumps in the icing sugar). With a manual whisk or a wooden spoon (or an electric whisk), beat the butter, salt and icing sugar till the mixture turns pale. Add almond powder, whisk to combine. Sift over the cake flour. With a spatula, fold the mixture until just combined. Repeat the same with the second portion of the dough. Remove from oven. Let cool for a couple of minutes in the tray before transferring to a cooling rack. While the cookies are still warm, dust them with icing sugar. When thoroughly cool, dust again with icing sugar. (alternatively, leave the cookies to cool completely, coat the surface with icing sugar.) Store in air tight container. I going to bake German cookies today for my 1st time.hehehe.the packing is very nice, i bet your friends will be happy to receive this lovely gift from you. Friendship is forever HHB. Happy CNY in advance. These are sooo cute and delicious! The boxes are super adorable too! Always the perfectionist. How I wish we are neighbours, then you can let me eat your baking experiments..
Great recipe and this looks like the Asian version to the Mexican cookie. 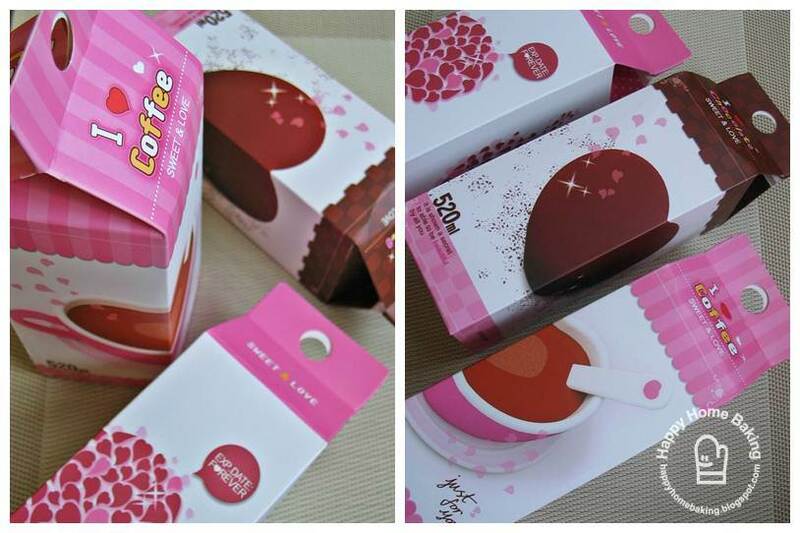 OMG, the carton boxes are so cute! I envy the recipents of these cookies! So cute! 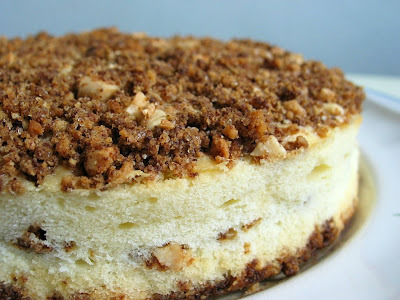 I'm definitely trying out this recipe of yours!